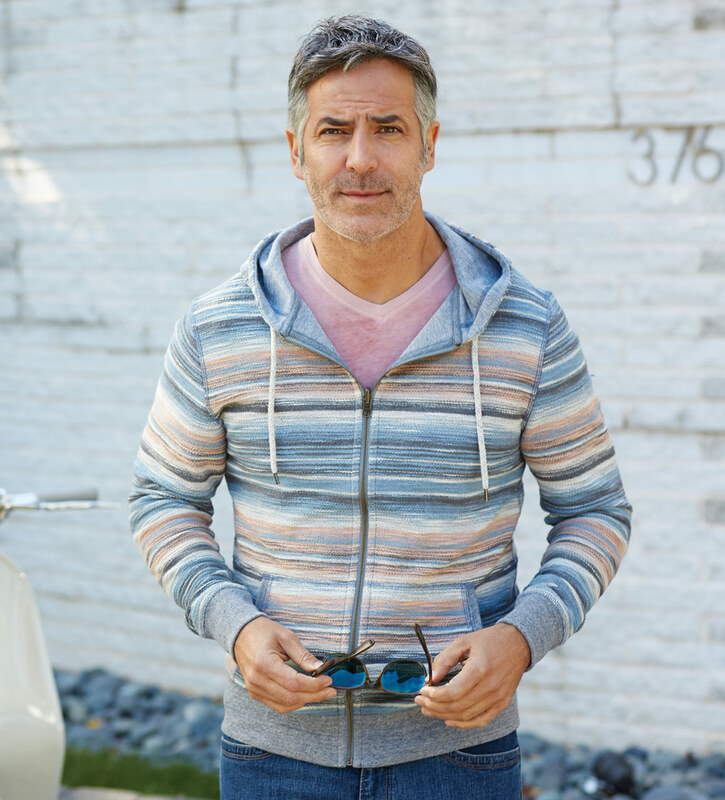 Unique, soft-toned stripes reverse to heather grey, French terry fleece of softest, 100% cotton. Full zip front, drawstring hoodie, stitching detail, front pockets, band cuffs and waist. Machine wash. Imported.